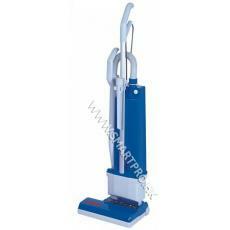 Columbus upright vacuum cleaners are ideally suitable for thorough deep cleaning of textile floors. Furthermore these upright vacuum cleaners, predominantly used for medium sized areas, perform the daily maintenance cleaning more economically. Decisive for the convincing cleaning result is the combination of powerful suction with the electrically driven brush: Persistent and deep-seated dirt is removed from the fibres and the whole textile floor covering is fully brushed at the same time. All models are extremely robust, offer practical functions and have an extensive range of accessories.